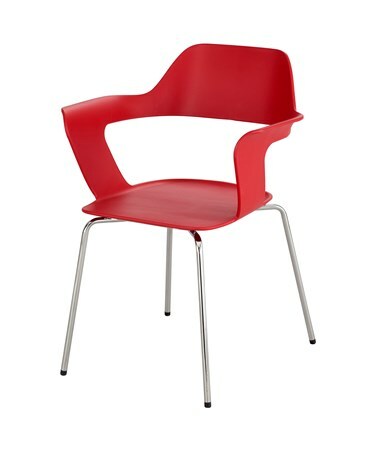 The Safco Bandi Shell Stack Chair is an attractive piece of furniture that adds some vibrant colors to all spaces like home, office, or lounges. It has a weight capacity up to 250 pounds to cater any seating needs. 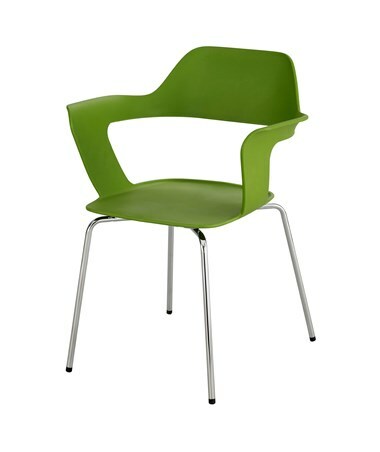 It features a uniquely shaped shell, an open seat back, and flared arms that provide comfort and flexibility. The lightweight shell is also colorfast, nonabsorbent, resistant to mold, chemical, and abrasion. Each leg includes a black nylon glide that protects the floor from visible wear. 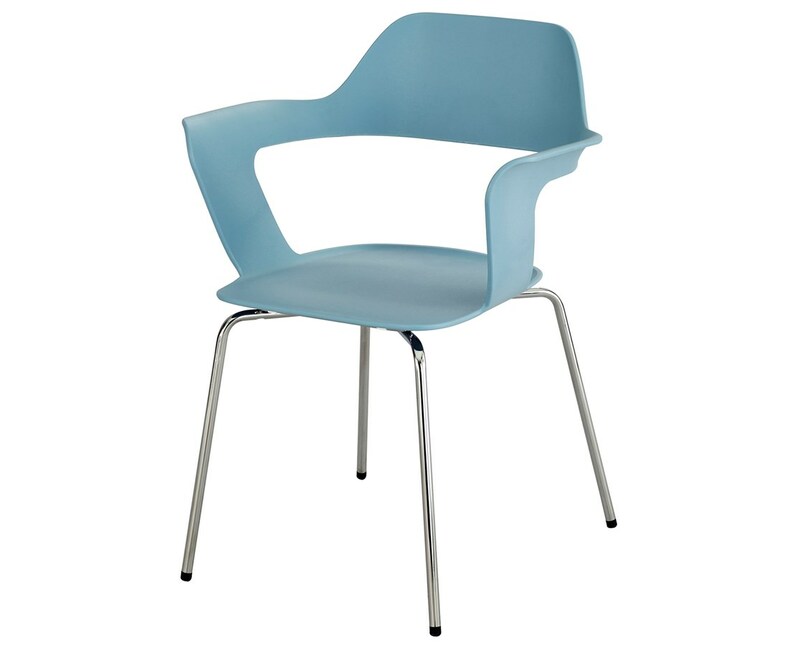 This stack chair’s seat and back is a shell made from fiberglass-reinforced polypropylene, while the frame is made of tough steel. 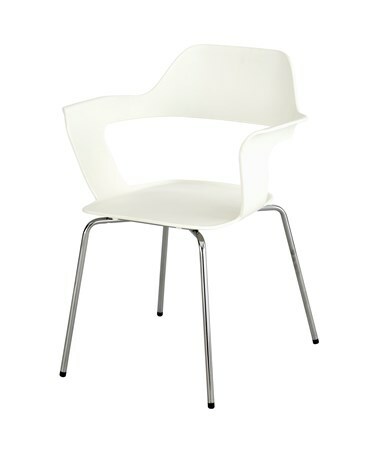 This chair is lightweight and can be stacked up to eight chairs high for easy storage and rearrangement. It comes in two units per package. The Safco Bandi Shell Stack Chair is available in four different colors. Please select your preference from the choices above.